Wow, check out this artsy aerial shot of these sweet friends! In all honesty I’m not sure if we’re technically calling it by that name (it used to be called that because we gave out lemonade, but we definitely don’t do that anymore…), but nonetheless on Tuesday mornings at Collin’s Preston Ridge campus in Frisco, we meet out on the lawn in the center of campus to play games, color, talk and laugh together, and generally just try to meet people and offer them friendship and genuine community. It really has become a favorite moment of my week. I’m so encouraged by our student leaders who are willing to play volleyball and lay on the grass in 90+ degree heat for the sake of reaching their peers (although now it’s starting to cool down, and we’re all very thankful! ), all without ever complaining. We’ve met many students, and God has been working in this time to build community with our little ministry we have at Preston Ridge. A quick story about one of these Tuesdays: I’ve been praying that God would bring girls to these times. For some reason, we meet a lot of boys, but girls just seem to be a lot less receptive to us. Well, God has definitely answered those prayers and we’ve met more girls over the past few weeks than we have all year! This past week, there were two boys that came to play for the first time. A girl walked by that they knew, and they invited her to come play. She agreed, and not long after that I got the opportunity to ask more about her life. She just moved here, and said she hasn’t met anybody, and “literally does nothing”. I told her about what Core was, and her face lit up! She said, “really? !” I was so happy to be able to invite her! She came the next day, and opened up to the girls, and our girls welcomed her with open arms. Wow!! God reminds me in things like this that He is faithful, and a super involved Father. 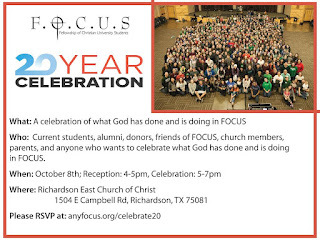 I’m so excited to meet more people during this time and see the ways God will continue to work! At the beginning of the school year, we invite our students to spend 24 hours together in “one giant sleepover with all their best friends” as my fellow Apprentice, Shayla would say. 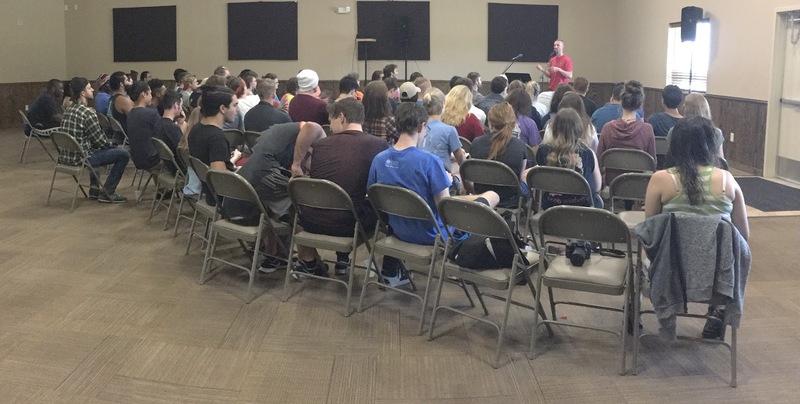 We drove about 100 students to Camp Copass, a camp in Denton, to spend time with one another, play games, listen to messages given by staff and their peers, worship God, and just have a time to get excited for the coming semester of ministry together! It was so encouraging to see the students bond with one another, get out of their comfort zones, and realize that they were there to be with God and learn from him and one another. At one point, we had an open mic sharing time. The students got up to talk about something God put on their heart during our time of worship. Student after student, they opened up and shared what God revealed to them. Some shared personal stories of their families, how they’ve been hurt in the past, how they’ve made mistakes, but how God has remained faithful. I’m so proud of them, and it’s such a huge honor to get to work alongside them. Thank you for praying for this time. Some of our Core girls at Camp! I get to lead a Core with Shayla and Raven for the girls at Preston Ridge. Cores are our gender specific smaller groups, aimed at building relationships and growing together towards Jesus. Sometimes we do Bible study, other times we just share about a specific topic such as vulnerability, shame, time management, etc. They’re called Cores because we feel that this is really where the core of our ministry exists. I am truly dumbfounded as to how we have girls that show up. This is how faithful God is, you guys: Shayla and I are not students at Preston Ridge, Raven is not taking classes this semester, so we’re not in classrooms inviting people. We’ve just tried to invite people we meet when we spend time on campus, the guys Cores will refer girls to us all the time, and sometimes just a random girl walks in and we’re not even sure how she heard about Core! What?! That is so cool to me. Obviously, God has been moving, and He does what He wants to do despite the odd circumstances that may be in effect :). Our girls have been so faithful and consistent, they’re learning to be vulnerable with one another and trying hard to build community with each other. Every week, they meet up with one of the girls they haven’t gotten to spend a ton of time with just to grow closer to one another. They initiate hanging out with the others, they celebrate together when good things happen, and they mourn together when crummy things happen. Gosh, I get to be a part of their lives! Why God has allowed me to have that privilege is beyond me. But what I do know is that He is working in these girls, and He is working on Preston Ridge campus through them. Day by day, I’m reminded of how crazy it is that I have the opportunity to do this Apprenticeship. I have countless people investing in me to make sure I’m learning and growing. I’ve built relationships that are so incredibly priceless, and it’s only been a few months. I’ve been given the chance to learn graduate level theology, and I’m taught by some of the most humble, spiritual, intelligent people I know. I get to sit outside on this beautiful day (Fall!! WOO!!) and articulate ways that God has been working over the past month. AND I have people like YOU who choose to invest in me, and invest in the Kingdom. I’m so thankful for you. I wish I could articulate more how much your support means to me. But in the meantime, I’ll just keep giving you virtual hugs. - That all the Cores would grow in their love for God, their relationships with one another, and that people in Core would catch a vision of what God is doing to bring His Kingdom here. - For the outreach at both Spring Creek and Preston Ridge campus. Preston Ridge in particular is very quiet. There’s essentially no student life happening there. Please pray that we’d meet people and foster a dynamic at these campuses that makes people feel welcomed and like they can hang out on campus and make friends. - All the one-on-one Bible studies that are happening on all our campuses. That people’s hearts would be softened by Jesus and they’d enter into deep relationship with Him! 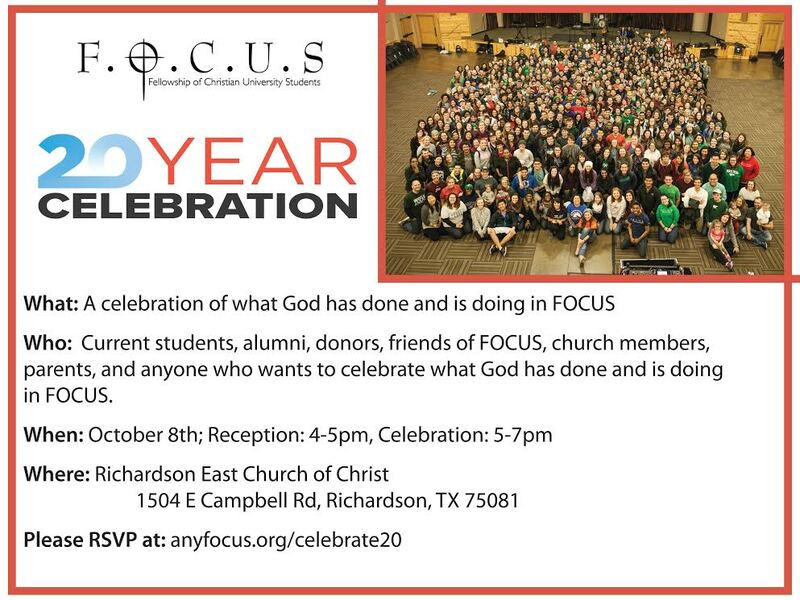 Also, I'm sure a lot of you have heard about this, but if you haven't, you are totally invited!! It is going to be such an exciting time, and I would love to see you all there. Please contact me if you have any questions about this (or anything)! Man I love you guys, and I'm thankful for you. I love you a lot, and I'm so excited about what you're doing to reach out to our community college campuses! It sounds like you have really made some meaningful connections on campus at Preston Ridge. I am praying that God would continue to help you guys reach students there, and that they would grow to know, love, and follow Him.